Blink, from nextReality has a somewhat odd premise in that it is a “second person” puzzle platformer. While the player takes control of the character on the screen, the character is actually being observed by an unseen being. When the being closes its eyes, the world persists, but everything is plunged into darkness. All that remains are the after effects of objects in the world that were illuminated, and these become the platforms on which the player walks. 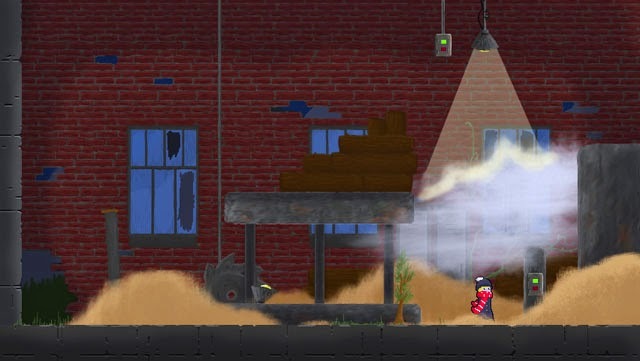 By manipulating light sources, the player can cast light on anything, even something as insubstantial as a patch of fog, and then use it in the darkened version of the world. The player may also use this mechanic to pass through otherwise solid object that cease to have corporeality when the being closes its eyes. Blink is now available for PC and Mac via Steam.